Have you ever taken the time to notice how the leaves on a plant change shape from one leaf to the next as they appear on the stem and then transform higher up the stock into a flower and then later into fruit? Craig Holdrege, Director of The Nature Institute, in Ghent, New York, in his book, Thinking Like a Plant, shares decades of plant observations and reveals profound insights and wisdom gained from this meticulous research. His depth of perception and eloquent presentation enables the reader to grasp a purposeful appreciation of nature as well as a more dynamic and enlivened relation to the “outside” world. Published in 2013, this 200-page document is based not only on Holdrege's many years of observational research in nature and his teachings at adult educational workshops. His writing style is one that does not leave the reader confused and overwhelmed with boring scientific detail and useless jargon. Instead, he presents his information in a mindful and appealing manner complete with philosophical teachings from such renowned thinkers as Aristotle, Kant, Steiner, Thoreau, Leopold and Goethe. Blending practical down-to-earth seeing with perceptive, timeless wisdom, Holdrege keeps our attention and involvement throughout. His excellent drawings and photographs make it easy to become armchair naturalists and then want to seek out our own unique relationships with plants growing nearby. 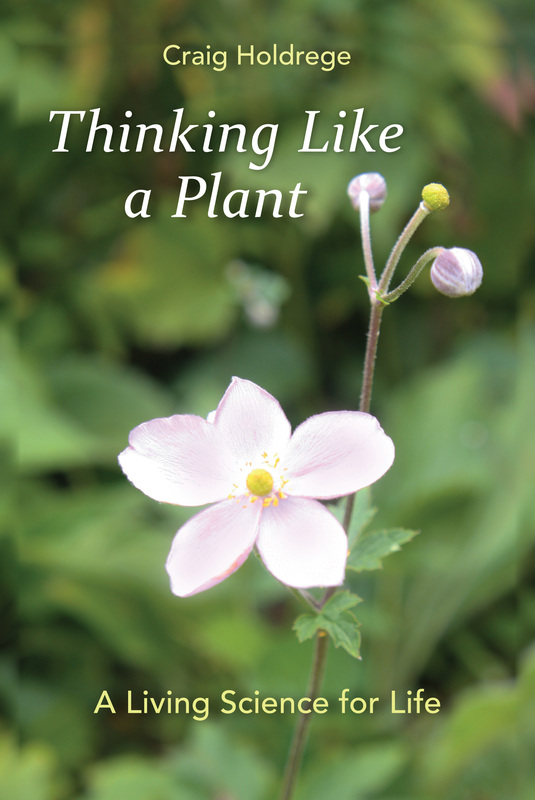 The book has six chapters, each revealing a unique aspect on his theme of plant life and what Holdrege calls “living thinking.” Chapter 1 looks at “object thinking” and how this conventional approach tends to be analytical, shallow and manipulative. He introduces us to seeing “the way things are,” which allows for a more freeing approach and more unity rather than separation. Chapters 2 examines the growth and development of plants. We learn how the plant exists in a continual flow of expansion and contraction, a rhythm that we as humans can emulate. Chapter 3 explores how the plant teaches us about organic transformation as its life history unfolds. Chapter 4 focuses on how a plant's development depends on its relation to its environment. The reader learns how to see the environment through the lens of the plant. Milkweed is portrayed in all its glory and life sustaining attributes in Chapter 5. Holdrege presents a fascinating account of how this plant plays such a valued role in its environment with respect to the hundreds of species of insects it nurtures and protects. The final chapter is a summary of what the author set out to accomplish and how other adult educators can learn from his experiences. As each of us works through our own transformational shifts in both thinking and being, this book reveals the essential qualities of life that enable us to stay conscious and connected to the natural world.